Much Awaited sequel of Bahubali is all set to release on April 28th, 2017. 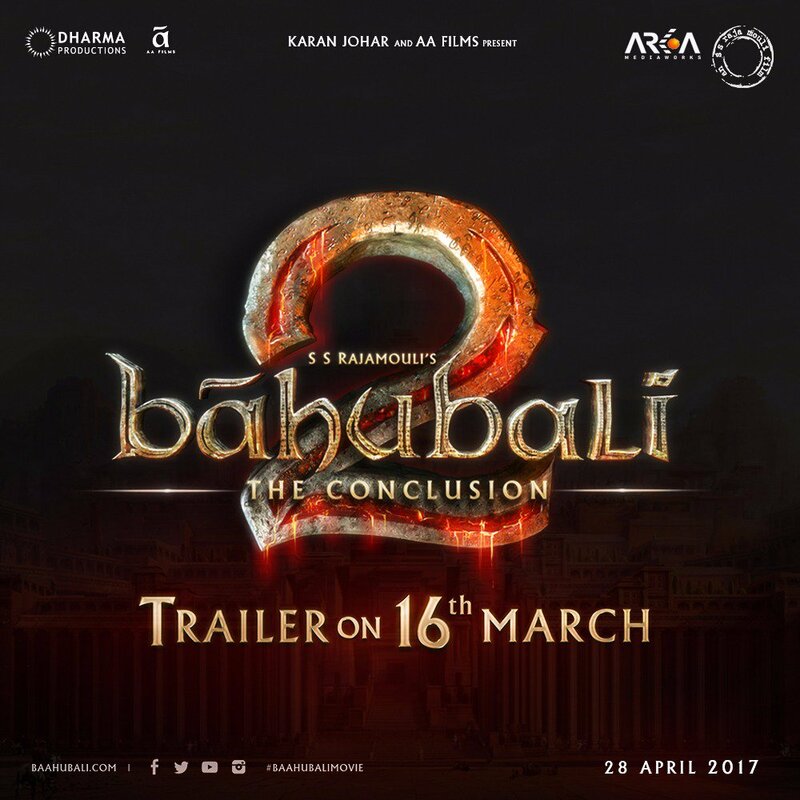 The movie unit of Baahubali 2 is ready to Release the First trailer to make curiosity in the audience. 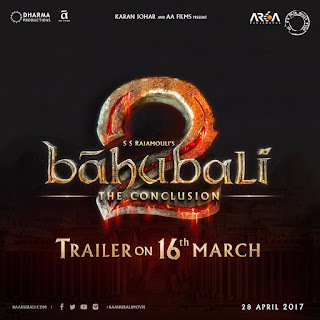 Through Facebook live program Director S.S. Rajamouli announced the trailer of Bahubali: The Conclusion will release on March 16th, and also confirmed that the trailer will first release in the theatres in the morning between 9.00 am and 10.00 am. On the internet, it will release on between 5.00pm and 6.00 pm.